This hub is going to talk about Lucina, Chrom's daughter and the only second generation unit to have the Lord class. 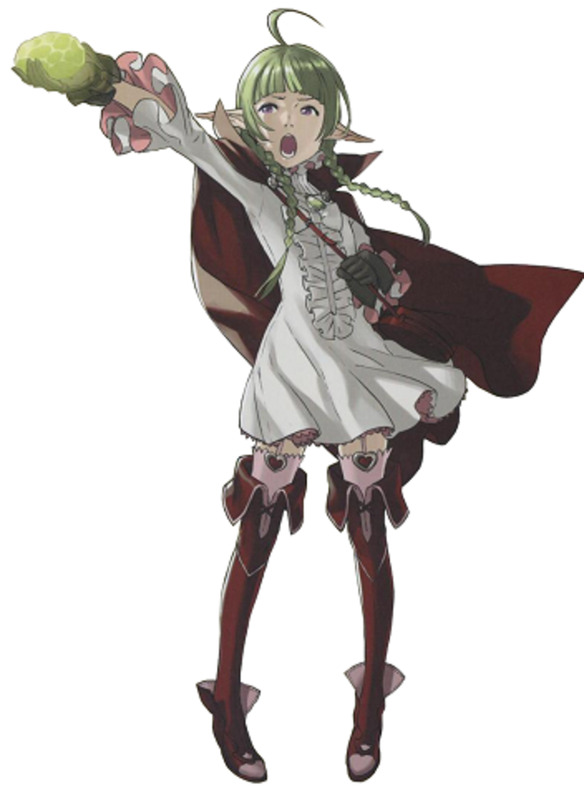 Additionally, she is the only child unit that you are required to recruit during the course of Fire Emblem: Awakening. Lucina is the third best child unit in the game, ranking only lower than Nah and Morgan, in terms of overall usefulness and viability. This is mostly due to her Parallel Falchion and the fact that she starts with Aether, even if Chrom does not have it when you recruit Lucina. During the course of this hub, I will give my thoughts on details such as the best mother for Lucina and what skills Lucina would most benefit from, as well as my usual table listing possible supports for Lucina. As mentioned in the Introduction, Lucina is Chrom's daughter and a Lord who hails from a ruined future in where the dark dragon Grima has been revived and has taken over the world. She enters the past as "Marth" in an attempt to change key events and stop Grima's revival. However, she realizes that fate is rather resistant to change (Emmeryn dies anyway and Chrom would have died at a later date to a Risen assassin as well had it not been for her second major intervention in the timeline). She then realizes that she must take a more proactive approach to saving the timeline and joins Chrom's army. 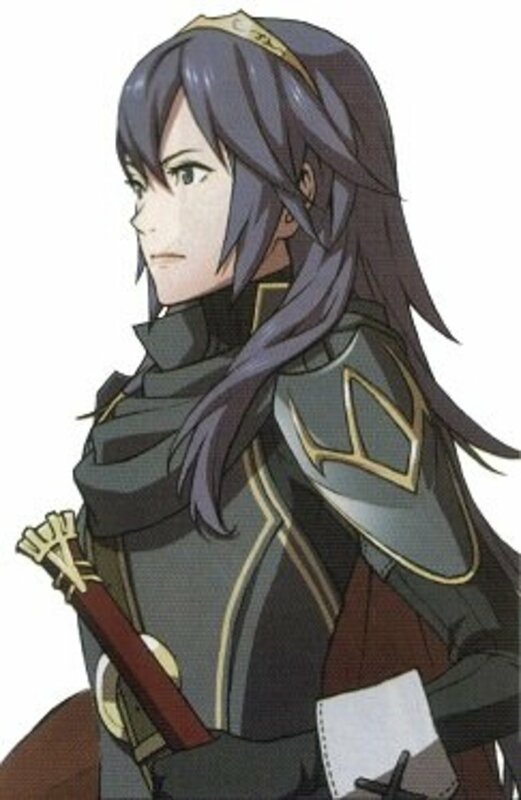 Lucina is rather serious and speaks formally, as one would normally expect from a Lord, and in contrast to her father who tends to be somewhat informal in most situations. 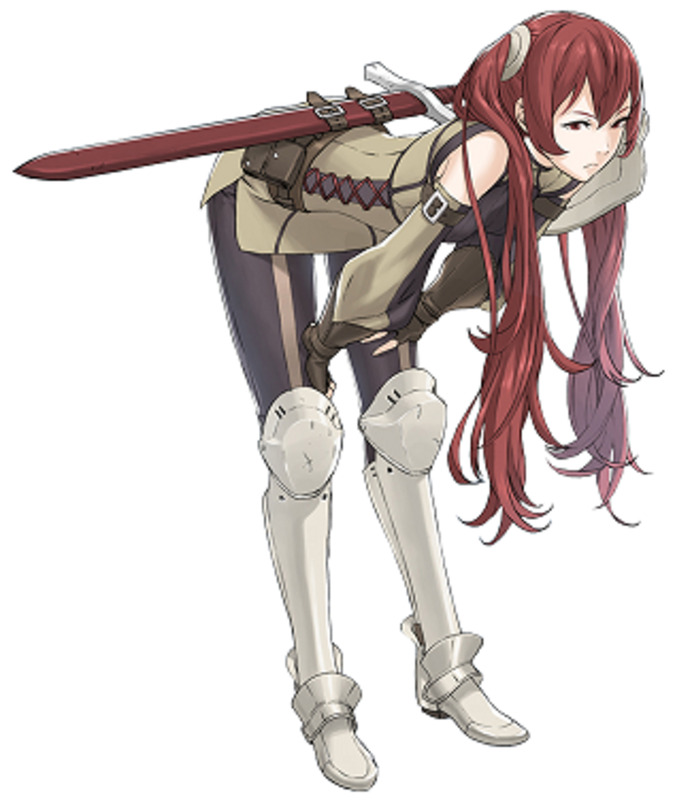 She is normally quite mature for her age, but actually has a childish side that manifests when she is with her siblings, probably as a way to relive at least part of the childhood she lost thanks to Grima. Where can I get Lucina? Lucina joins automatically after the events at the conclusion of Chapter 13. Why should I use Lucina? Basically, she has high stat growths and has an infinite durability weapon. What's not to like? Given any amount of real effort, she should surpass Chrom easily. Who is the best mother for Lucina? Well, for starters, Chrom x Sumia is the only canon pairing in Fire Emblem: Awakening, and is perhaps the most effective way to get a Lucina with Galeforce (whether by Sumia passing down Galeforce or Lucina class changing to a Dark Rider at some point in her development). Of course, if you have a female My Unit, you could pair her up with Chrom and pass Ignis, and the Tactician and Pegasus Knight classes to Lucina. However, I prefer Sumia to a female My Unit thanks to the fact that Sumia has very few possible husbands and female MU can marry any male unit. Should I use a Second Seal on Lucina? I personally would, to get Galeforce or Ignis if she has received the relevant classes from her mother. Otherwise, Lucina works best as a Lord, much like her father. What skills should I use on Lucina? Galeforce - This is one of the best skills of the game. I'm sure at least a small subset of those of you reading this hub are probably sick and tired of everyone praising Galeforce to the high heavens. However, there is a reason for that, and it is the same reason why Fire Emblem veterans love Dancers: Action economy. In a game where a unit generally takes one action and then ends turn, the ability to take a second action is pretty darn powerful. It allows such interesting strategies such as hit and runs where you hit the enemy on your turn, get the kill, and use the Galeforce action to retreat. Aether - Lucina gets this one guaranteed, as Chrom passes it down even if he actually doesn't have it at the time of Lucina's recruitment. This attack skill combines Sol and Luna and really shines once you get Rightful King for that 10% extra activation rate. Rightful King - Mostly for Aether activations. Nothing else to mention here. 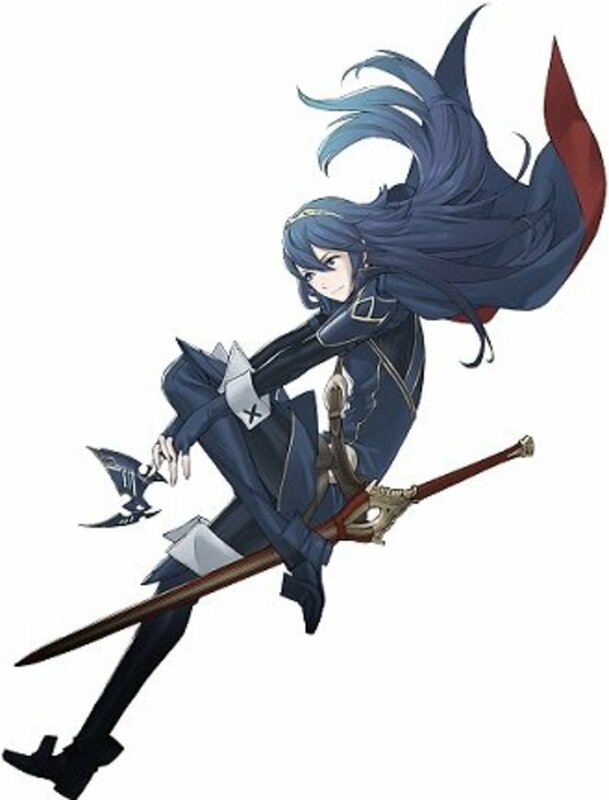 Ignis (if Lucina's mother is a female MU) - While Lucina doesn't get a whole lot of Magic, she does get a decent amount of Skill and Skill, coupled with Rightful King means that you will get a lot of Ignis activations. Lifetaker (if Maribelle or female MU is Lucina's mother) - Heal up to half your maximum HP when you kill an enemy unit on your own turn. Combine with Galeforce for ridiculous results. To fill out your five, you'll want to look at what other skills Lucina could use, but the exact answer will vary depending on the mother, as not all of the mothers pass down the same classes. Vantage is good on just about any unit and Astra would give Lucina yet another attack skill to do insane damage on a successful Skill roll. The above table lists Lucina's stat growths dependant on her mother. As compared to Chrom, Lucina tends towards having lower Defense and Strength, but having higher Skill and Speed. While the lower Strength can be a detriment, don't forget that Lucina comes with a 12 attack Parallel Falchion that additionally does extra damage to dragons (Chrom's Falchion has that as well, but it's easy to miss unless you have a keen eye for effective damage modifiers). It comes down to a trade-off between slightly lower Defense and slightly higher Speed, and I'd rather have the Speed, as you can mitigate a fair amount of damage just by not getting doubled. Knowing this, you can easily figure out whether your Lucina will be better than her initial state or worse. Basically, as the saying goes: You get what you put into it. In this case, it being Lucina's base stats. So, you'll want to train up Chrom and his wife in order to get a Lucina with strong base stats. Note: Lucina's base stats are generated at her time of recruitment. So, you'll want to get Chrom and his wife as high level as you can before you complete Chapter 13. Lucina starts as a Level 10 Lord, regardless of her actual base stats, so this can be quite a big advantage if you're diligent. Do you use Lucina on your team? 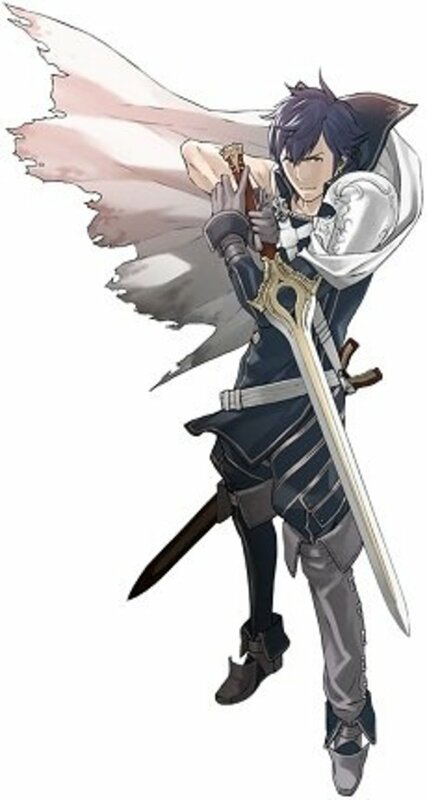 In conclusion, Lucina is the second generation Lord of Fire Emblem: Awakening and comes in as the third best child unit under most circumstances, below Nah and Morgan. 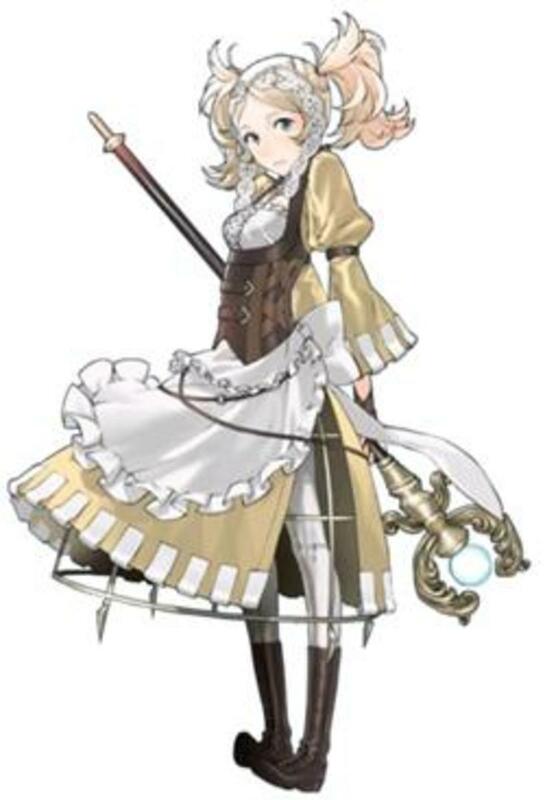 She is the only child unit that you are required to recruit in this game and can surpass her father, given an adequate skill selection and some good level-ups to compensate for the fact that she starts as a Level 10 Lord when you likely already have promoted units. Feel free to talk about Lucina and things related to her in the comments section. Also, don't hesitate to ask questions if something in this hub is unclear! Hey Winterfate in your opnion what would be the best Final class and For Olivia Lucina. If you have a Female Avatar, then you might as well pair her with Chrom, because it's the only way you can get 3 units with Veteran (since no other male unit has a specific child). On my last Lunatic playthrough I passed Aether + Galeforce to Lucina, reclassed her as a Tactician, and immediately played the Paralogue 8 to get Kjelle. And boy did Lucina was the star of that fight. 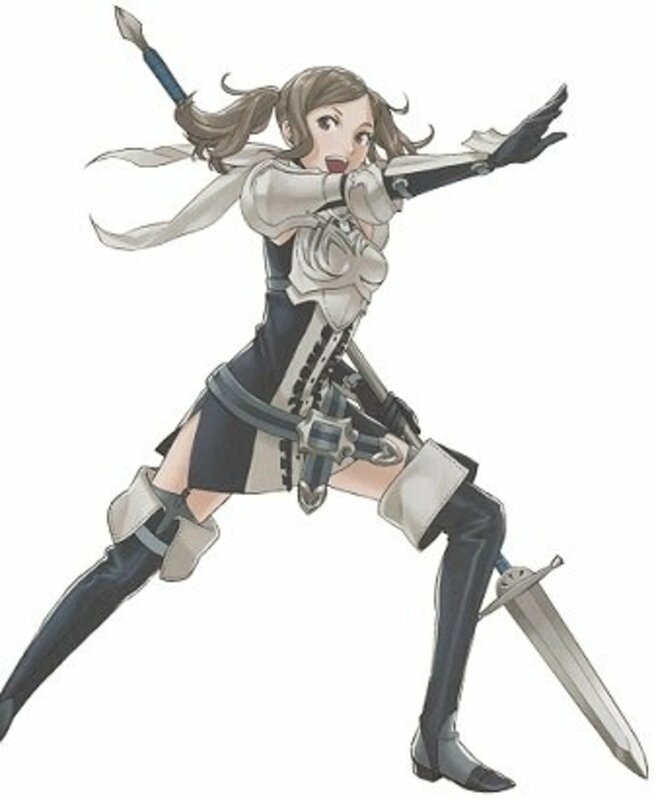 Her first 4 kills netted her 4 level ups thanks to Veteran, and her stats were good enough that she would one shot anything but the Knights and Generals (and even so, with Miriel as support and a couple of Dying Blazes tomes, she could one shot them too). I actually had to go out of my way and give Kjelle some kills (and the boss kill), because Lucina was already capped at HP, Str, Skl and Def as a Tactician. Another good thing that you don't mention is that Lucina has infinite Concoctions through her Parallel Falchion. That, combined with Aether activations, can make her very durable. *Edit 2: Meh never mind, it's 80% (79%) of at least once within two attacks. I'm sure this time. I was just having a dumb moment. *Edit: Sorry, that's actually an 80% chance for ONE attack. That means within two attack there's 96% for at least one, or 64% for both attacks having a skill activate. Because of this I actually personally consider Lucina my best unit, and that's even with having a Nah with Donnel's Aptitude and a Manakete Morgan. Hey Winterfate, I've read most of your articles and love the advice from them. But I'd like to say why I think Olivia is the best mother for Lucina. Finally not to mention that for the fifth skill you have the wonderful option of Swordfaire. Or even a Rightful King boosted Aegis (though you could get this no matter who the mother), although personally I topped her off with limit breaker from the DLC. Lucina dual strike + paired with her high skill max(that sumia gives her) makes her the best unit in the game when paired with/next to a player with that has an A or S support rate. She basically ends up having a 90-95 percent dual strike activation rate for her S rank support and a 80-85 percent for her A ranks. I like giving her dual guard + to give her a nearly 40 percent guard rate on top of her ridiculous strike rates. Then I add gale force, aether and rightful king to complete the rest of her stats. Galeforce along with awesome support bonuses and skill activation rates makes Lucina and any supported units around her untouchable. I'd have to say that it depends. If the base class in question has nothing to offer that particular unit, then I would just transfer straight into the advanced class. I'd take the route through Great Lord first, if only to grab Rightful King. Also, it takes you less total levels to go that way than it does to class change her into Pegasus Knight and then promote afterwards. Would it be better to second seal Lucina to Pegasus Knight and then eventually master seal her to Dark flier (Galeforce) or Master seal her to Great Lord then second seal her to Dark flier? Also just as a general rule, in the second scenario would it be better to second seal to a base class or to an advanced one? Ah, you are correct (been a while since I've played Awakening; should've known better considering that I mention in my Inigo thread that Olivia can pass him Galeforce...). Anyway, yes, you are correct. The main issue with Olivia/Chrom is that you only have one mission to get their support levels higher than the other eligible wives (Sumia, FeMU, Sully and Maribelle). Given that you have Sumia, FeMU and Sully for a decent amount of time early, you may have already paired them up Chrom and gotten their support levels to higher ranks, which disqualifies Chrom from marrying Olivia unless you get the other women with better support levels married to other men. Long story short, Olivia probably is the best mother for Lucina, but she's the hardest one to get as Chrom's wife, unless you know ahead of time. Another issue which is less about Lucina and more about her potential sibling is that Inigo (Olivia's son) would get Rightful King since he's male. 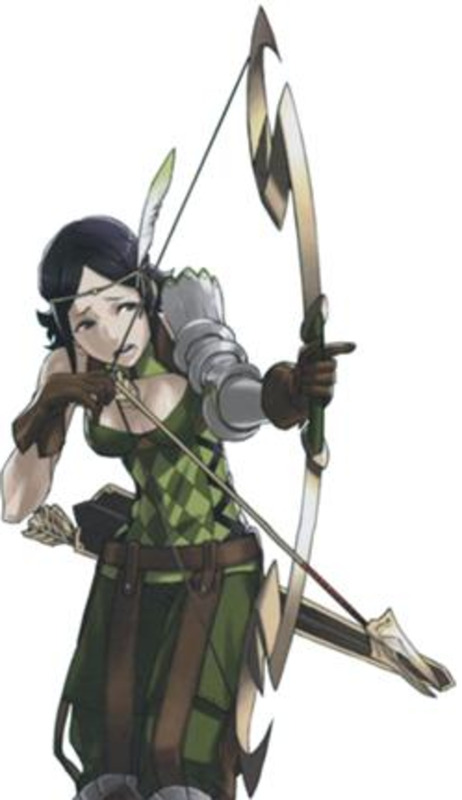 Cynthia (Sumia's daughter) would get Aether from Chrom since she's female. There's a whole lot of things to think about at the end of the day when it comes down to pairings. I give one possible way of looking at it, but there are others. They're probably looking at Lucina's stat caps. If I recall correctly, Olivia gives one of the best spreads for maximum stat caps (if not the best) out of all of the mothers. So, that's why some people try to pair up Chrom or male MU up with Olivia. Galeforce? Then Sumia/FeMu are best for Lucina. Best stat caps? Olivia is best. I paired Chrom with MU. Is it correct my Lucina won't be able to get Galeforce anymore? because I passed down tactician and pegasus knight to her? Hello there PirateYoga! Apologies for not getting back to you until now. Secondly, I don't plan on doing any hubs on the special Paralogue units due to the fact that they have like nil support options and the only notable ones are Walhart and Aversa (and that mostly due to the unique skills that they have). Basically, if you really want to use them, you can, but otherwise they're not of much use, to be honest. Of course, like most everything I've written recently, if enough people want them, I might write them. Serious emphasis on might though. Hey there winterfate, great job on all the amazing and detailed hubs for Fire Emblem Awakening! Seriously useful stuff, and many thanks for your dedication. 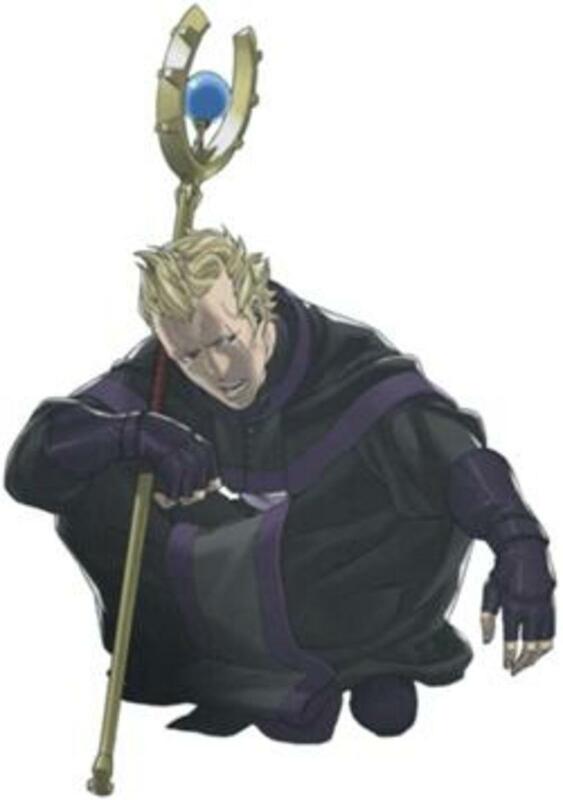 One question, though, (sorry if this has already been answered before), are you going to do any hubs on the "special" paralogue units you get (Walhart, Gangrel, etc.). Just wondering.